Overview — Cornerstone Painting Contractors, Inc.
Over the last twenty eight years, Cornerstone has provided services to many prestigious organizations throughout the greater New England area. These organizations have relied on our expertise in painting and have entrusted us with their projects, whether a new office fit up, the ongoing maintenance of their facilities, or even painting their roller coaster. It's starts with you; the customer. You have decided to take the next step in completing the project at your office or facility by researching local painting contractors. You have found our company and are ready for an estimate. A member of our staff will review the project and provide you with an detailed estimate free of charge. If you decide to move forward, our team will guide you throughout the entire process. Your project will be given specific attention by our project managers and painters. Communication throughout this process is important. Feel free to reach out at any time. Whether working for facility managers, property managers, business owners, or general contractors, our focus is on building relationships with our customers. We believe that is one of the keys to why our company has been successful, and that is why so many of our customers have been with us for all these years. We primarily use Benjamin Moore and Sherwin Williams products, but are always willing to use other products, if customer preferred. Both companies have a wide selection of products for virtually every need you may have, and also have products that have low odor levels and are environmentally friendly. One of the important focuses of our company is the personal health, safety, and well-being of each employee and customer. Our employees are trained in proper methods and procedures to keep them safe as well as others around them, and company has a strong safety track record which is reflected in our safety record consistently running higher than the industry average. In the end, our goal is your complete satisfaction. Painted main and accent walls in the main entry of the hospital. Painted the main walls in the gift shop area of the hospital. Painted the walls and trim in this hallway at the hospital. Painted the main and accent walls in the birthing center hallway. Project consisted of pressure washing, prepping, and painting exterior of townhouses in the Village of Granite Hill. Project also consisted of prepping and staining the exterior decks of each townhouse. Project consisted of prepping and painting the exterior of the Bradley House on the campus of Saint Anselm. Project consisted of prepping and painting the exterior buildings of a large town house developement in Nashua NH. 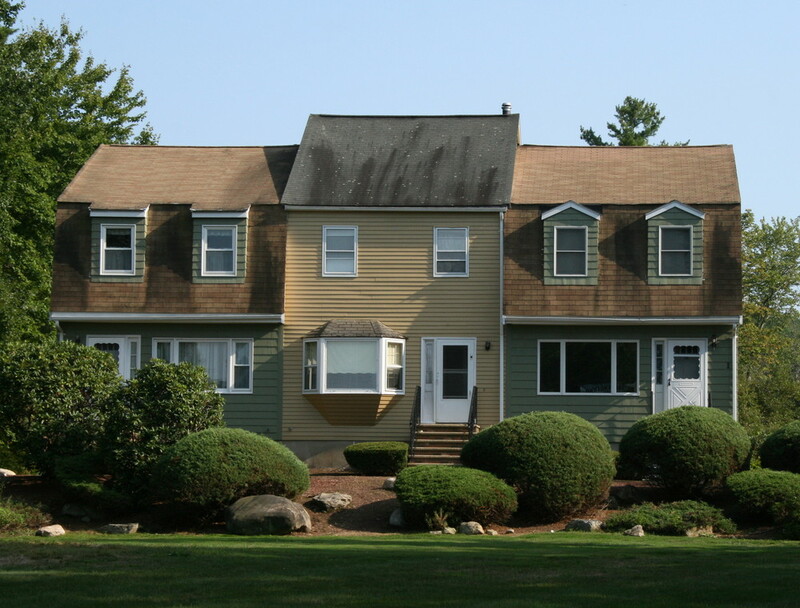 Project consisted of prepping and painting the exterior buildings of a large town house development in Derry NH.